CRL digitization recently reached another milestone: over seven million pages of digitized items from CRL collections are now available to CRL members. 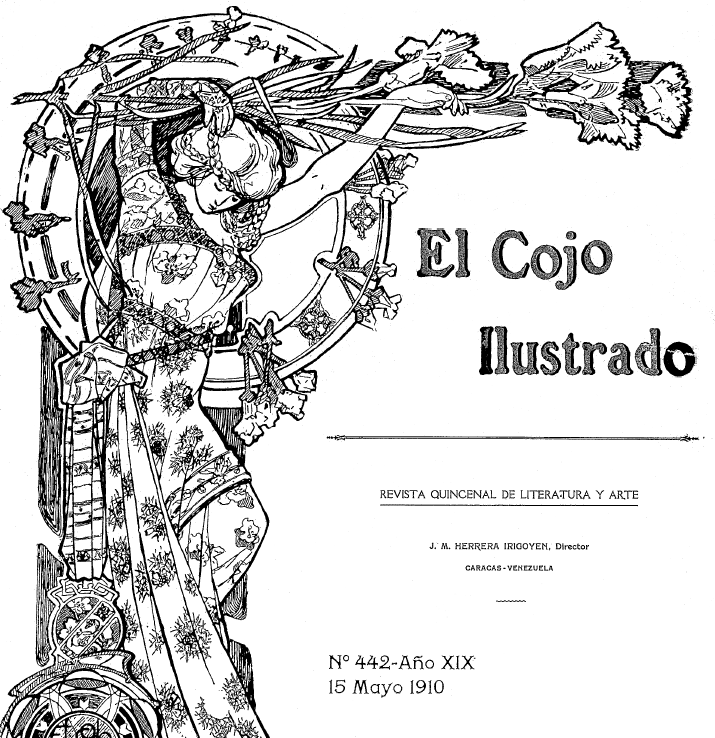 El Cojo Ilustrado, a Venezuelan literary magazine, marks this milestone. Published between 1892 and 1915, this lavishly illustrated title documents the emergence of modernism in the arts and culture of independent Venezuela. It now supplements the range of Latin American serials and newspapers from CRL collections that are available online. Early issues of El Cojo Ilustrado were digitized at the request of a scholar at a CRL member institution from the full run of microfilm originally acquired by LAMP. Digitization of items requested on loan is one way CRL is expanding access to its varied holdings. Through partnerships with the Linda Hall Library, LLMC-Digital, Readex, and the US Agriculture Information Network, CRL also systematically digitizes significant newspapers, government publications, and historical periodicals, areas of particular strength in CRL collections. With CRL in-house production now averaging nearly one million pages per year, researchers increasingly access CRL collections through digital delivery. The service offers the advantage of rapid and flexible access, and all items scanned for digital delivery are retained and linked from CRL’s catalog to support future access by researchers. The digital delivery service prevents many materials that are fragile, rare, or unique from being lost, damaged, or destroyed through handling and transport. Accessing CRL holdings has never been easier: CRL recently upgraded its Digital Delivery System (DDS) platform, making it more navigable and efficient. The site now hosts 24,000 plus titles, digitized from CRL collections to support advanced research and teaching. All titles hosted on the DDS server can be accessed through the CRL catalog and WorldCat.